Copper transceiver is high performance, cost effective module compliant with the Gigabit Ethernet and 1000BASE-T standards as specified in IEEE 82. 3-22 and IEEE 82.3ab, which supporting 1Mbps data- rate up to 1 meters reach over unshielded twisted-pair CAT 5 cable. Copper SFPs enable system manufacturers to populate SFP ports with either copper or optical transceivers. 1000Base-T copper SFP is used for copper networks, which refers to GbE over copper, primarily Category 5, 5E, and, increasingly, Category 6 twisted-pair cable. Typical 1000Base-T SFP includes Cisco-GLC-T and SFP-GE-T, these SFP modules are used in Gigabit networks and they are fully compatible with 1000Base-T. SFP-GE-T is the copper SFP that are with extended working temperature and DOM support. 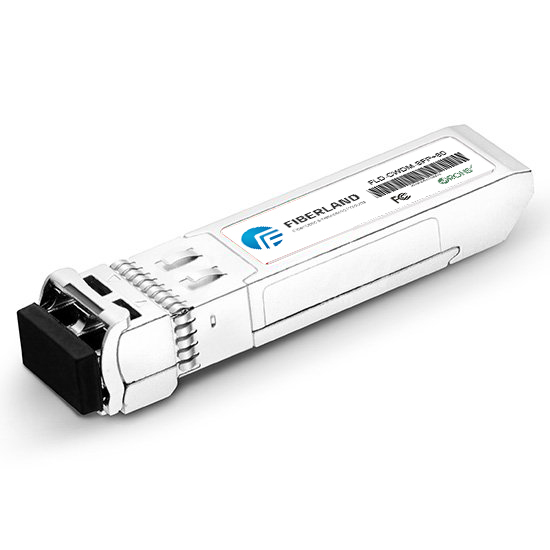 1000Base-T SFP copper transceiver is designed for single mode (SM) optical fiber. This transceiver is compliant with Gigabit Ethernet and 1000BASE-T standards as specified in IEEE802.3-2002 and IEEE 802.3ab for 1.25 Gigabit over unshielded twisted-pair category-5 cable. It operates on standard Category 5 unshielded twisted pair copper cabling of up to 100m length. This transceiver is also compliant with RoHS, SFP MSA, FCC 47 SFR Part 15, Class B and SONET/SDH recommendations for OC-48 specifications. It is widely used in serial telecom and datacom applications. The 1000Base-T SFP copper module is compliant with Gigabit Ethernet and 1000BASE-T standards as specified in IEEE802.3-2002 and IEEE 802.3ab for 1.25 Gigabit over unshielded twisted-pair category-5 cable. It offers 1000Mbps full duplex data-links with 5-level Pulse Amplitude Modulation (PAM) signals. This transceiver is also compliant with RoHS, SFP MSA, FCC 47 SFR Part 15, Class B and SONET/SDH recommendations for OC-48 specifications. It is widely used in serial telecom and datacom applications. Cisco 1000BASE-T SFP module supports 10/100/1000 auto-negotiations and Auto MDI/MDIX.